A great gift for that special occasion. 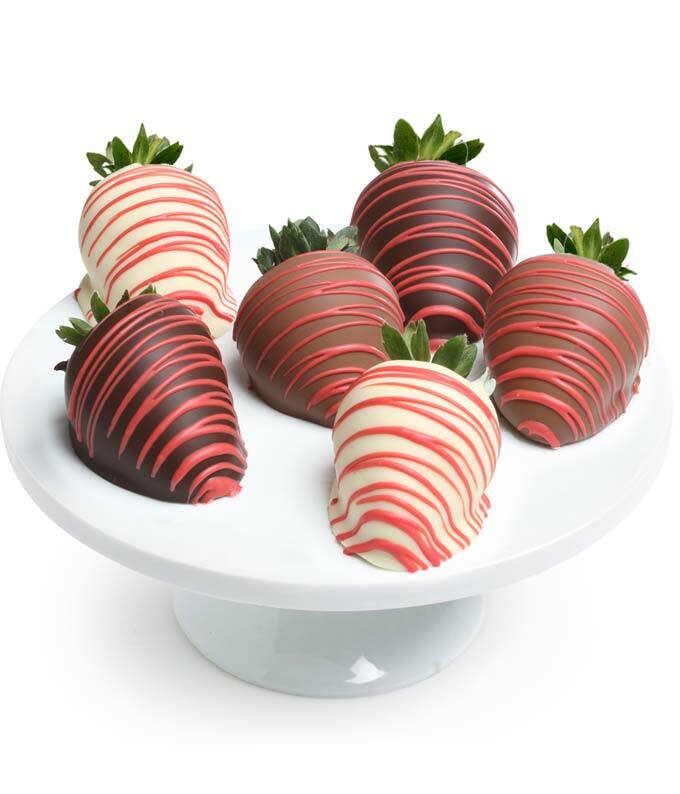 These chocolate covered strawberries are drizzled in a romantic manner, the perfect gift of an anniversary or Valentine's Day. Each strawberry is fresh and juicy and a great way to say "I Love You".